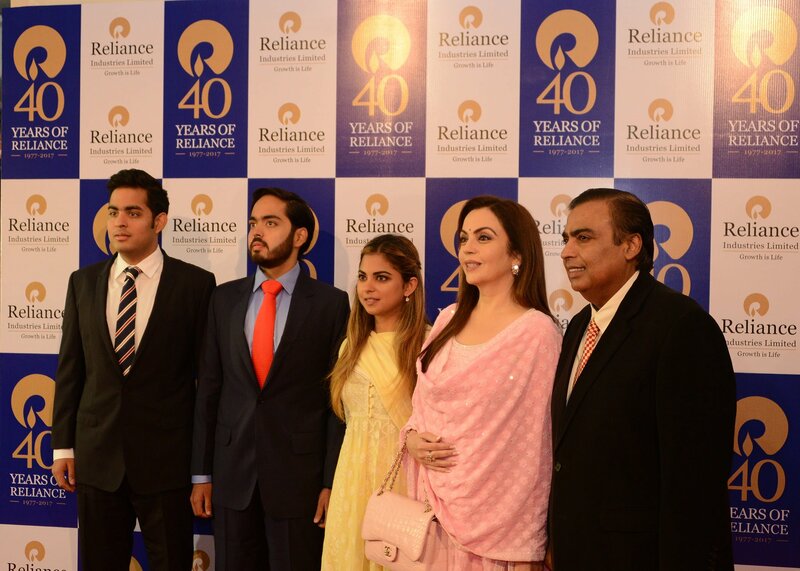 Mukesh Ambani-led 4G telco, Reliance Jio, on Friday reported a net loss of Rs 270.59 crore for the quarter ended September. The telco has posted revenue of Rs 6,147 crore and EBITDA of Rs 1,443 crore and EBITDA margin of 23.5% during the quarter. The company, which started services last September with free promotional voice and data offers, said that consolidated value of services stood at Rs 7,213 crore, while consolidated EBIT stood at Rs 261 crore. Jio’s subscriber base reached 138.6 million as on September 30, 2017, following the net subscriber addition of 15.3 million during the quarter. The telco’s average revenue per unit stood at Rs 156.4 per month during the quarter. Reliance Jio revealed that its total wireless data traffic stood at 378 crores GB during the quarter, while average voice traffic stood at 267 crore minutes per day. “We are focused on providing multi-layered digital services on top of the basic connectivity service to optimally utilise our world-class infrastructure. The strong financial results of Jio demonstrates the robust business model of Jio and the significant efficiencies that the company has built through its investment in the latest 4G technology and right business strategy. As always, the Group has demonstrated excellence in execution, vision and commercial acumen,” he added. “Positive EBIT in the first quarter of commercial operations, given tremendous uptake by subscribers and cost advantages generated through use of efficient 4G technology,” the company said. Jio said that it achieved 178 crore hours of high-speed video consumption per month. It also revealed that customer churn stood at 1% per month, and is expected to reduce further. “800 million Indians are now ready to move from voice to data and enjoy the multi-layered digital service,” it added. “India is moving from voice to data; the number of customers who have adopted Jio services in this quarter is at 19.5 million…highest per capita data consumption at 9.62 GB/ user/ month,” the company said. Just port out of it and get Idea!!!!! If i recharge with 399 two times,will i get any option to add then together to get 2gb/day.